An Ali-Craft Jet Boat On A Northern BC River. ALI-CRAFT is a welded aluminum boat builder based out of Prince George, BC. 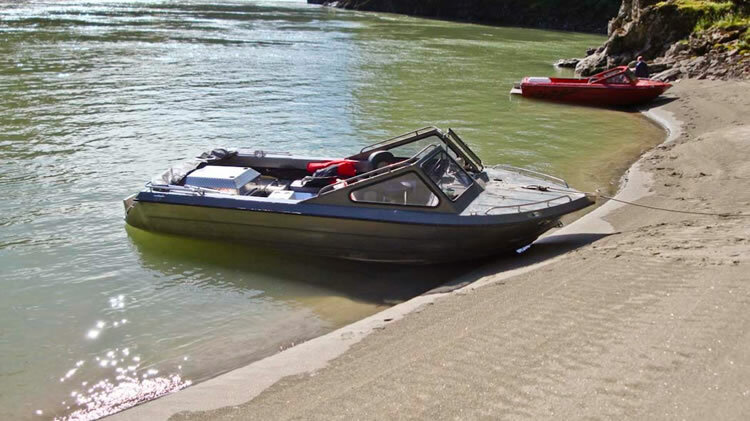 Ali-Craft specializes in building custom jet boats that are designed to handle the abuse of hunting and fishing Northern BC rivers and lakes. Originally from New Zealand, (where Jet Boating was a craze!) Ali-Craft began building boats in Prince George, BC in 1981 and they've been building them ever since. ALI-CRAFT has manufactured specialty boats for use in police patrol, Fisheries & Oceans, cabin boats, racing, remote hunting, remote fishing and more.